We recently announced that Bivouac Ciderworks was in the process of building a brewpub, tasting room and restaurant in San Diego's North Park neighborhood, but we learned today that the company has signed on longtime local chef Danilo “DJ” Tangalin, who left his position as Executive Chef of Tidal at Paradise Point last month, to lead the kitchen and develop a California-American menu with his own Filipino influence. "During our first meeting, DJ talked to me about his childhood and upbringing," said Bivouac Ciderworks partner Lara Worm. "In addition to running a family-owned cantina that served fresh fish, his parents are both great cooks who prepared every meal for the family from scratch, utilizing livestock and produce that grew around their home, so the concept of 'Farm to Table,' was all he ever knew. That’s when I knew he was our guy! Chef DJ has a love for food that infuses every dish he makes. He truly understands fresh ingredients, and uses his creative approach to elevate traditional dishes." Before taking the helm of the kitchen at Tidal last Fall, Danilo Tangalin was the Executive Chef at Eat.Drink.Sleep's JRDN restaurant at Tower23 Hotel in Pacific Beach from Spring 2015 until he was appointed to oversee the launch of the company's ambitious Decoy restaurant at the newly renovated Lakehouse Hotel & Resort in San Marcos, which opened in August 2016. Chef Tangalin has spent time in some of the country's most esteemed kitchens including Le Bernardin with Eric Ripert, Volt with Bryan Voltaggio, Cyrus with Douglas Keane and Coi with Daniel Patterson. Settling in San Diego, DJ worked as chef de cuisine at Prepkitchen before joining the team at Eat.Drink.Sleep. as a sous chef at JRDN in 2014. 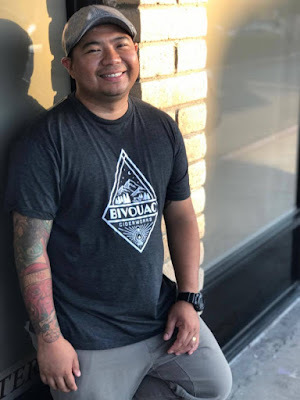 "I’m excited about the possibilities at Bivouac," said Chef Tangalin. "I want to get back in the kitchen and experiment with local ingredients and exciting flavors that work in perfect harmony with cider. I like to take classic cooking methods and traditional flavors, and put a spin on them to make them like nothing you’ve ever tasted. I like to blow your mind with simple, clean flavors, prepared in an unexpected way." At Bivouac, Chef Tangalin will develop a cider-pairing driven menu of West Coast cuisine influenced by local, seasonal ingredients. The menu will offer a unique combination of San Diego comfort food - think specialty tacos and signature indulgences like the Pork, Pork, Pork Burger using farm-fresh ingredients and house-made condiments - and rotating seasonal shared plates exhibiting Chef Tangalin’s culinary flair. 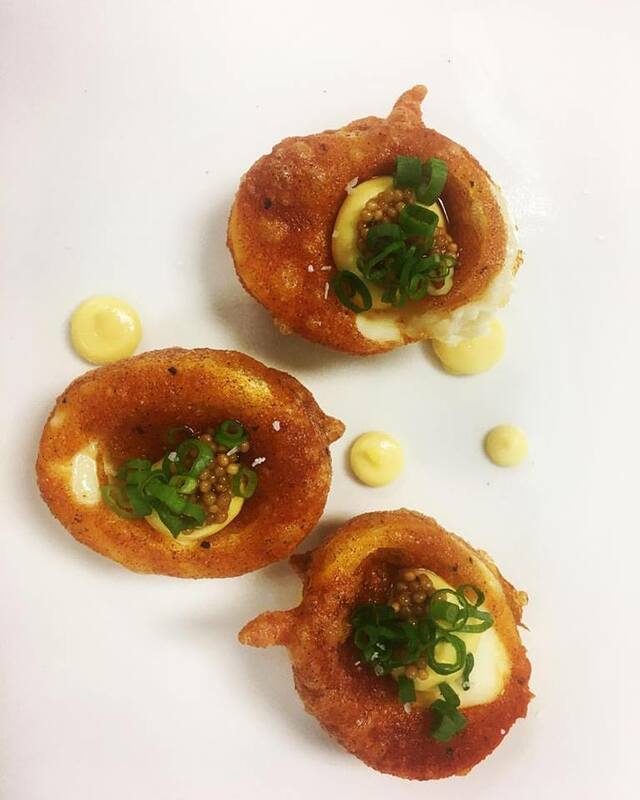 Expect Chef Tangalin to also add a Filipino spin on some of the dishes, like the fried deviled eggs inspired by the Filipino street food "Qwek-Qwek". There will always be a variety of gluten-free options to pair with the naturally gluten-free cider. Bivouac Ciderworks will also offer flights and pints to pair with cheese and charcuterie. Bivouac is expected to open at 3986 30th Street in North Park as early as this August. For more information, visit bivouaccider.com.